Colorado’s Million Dollar Highway Photography Workshop! Join the Aperture Academy as we take you on a 3-day exploration across Colorado’s famous “Million Dollar Highway”! As summer gives way to fall, the temperatures begin to change and that brings with it vast, sweeping mountains covered with fall colors. 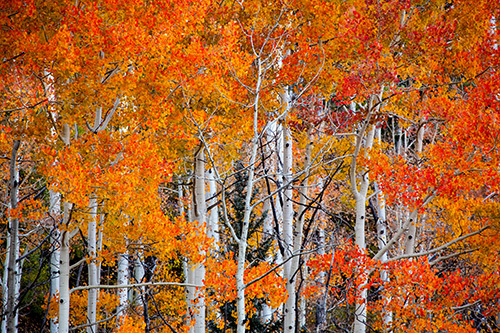 Vibrant gold, orange and red fall foliage literally carpet giant regions of Colorado and the Million Dollar Highway and is one of the most concentrated and beautiful regions we’ve ever seen. We will journey north from the quaint railroad town of Durango for one of the most scenic drives in America. We’ll lodge in the old mining town of Ouray where we will be photographing the stunning Dallas Divide as well as many other locations along this route. No trip to Southwestern Colorado would be complete without visit to the town of Telluride. Nestled in the shadows of the San Juan Mountains, Telluride offers fabulous scenery as well as great eateries and some history lessons along the way. 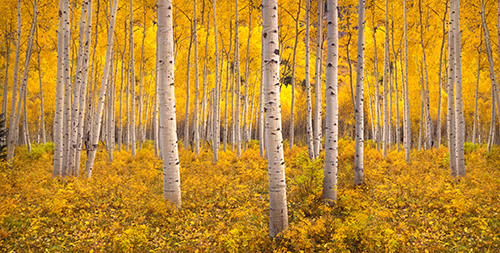 The focus of this workshop will be to capture the beauty of one of mother nature’s most famous color shows. From crystal clear rivers to stunning vistas and wildlife sightings, Colorado in the fall is truly a photographers paradise! Orientation – We will meet for a workshop orientation the evening before the workshop begins at 8pm This will be a good chance for everyone to meet and get to know one another before our early start the next morning. The Dallas Divide is one of the greatest of American vistas. The combination of rolling hills, colorful underbrush and golden Aspens serve as a perfect foreground to the grandeur that is the San Juan Mountain range. And during the peak fall season, this location will simply take your breath away. Day 1 – We will begin this workshop by departing Durango in route to Ouray, Colorado. This quaint town has been a special destination of world travelers for more than 100 years. This small intimate community is nestled in some of the most rugged and towering peaks of the Rockies. Set at the narrow head of a valley at 7,792 feet and surrounded on three sides with 13,000 foot snowcapped peaks – Ouray is home to hundreds of miles of historic Jeep roads, sulfur-free hot springs with stunning views and the world-famous Ouray Ice Park. Remarkably, two-thirds of Ouray’s original Victorian structures, are still occupied, and have been lovingly restored in order to preserve their turn-of-the-century charm. 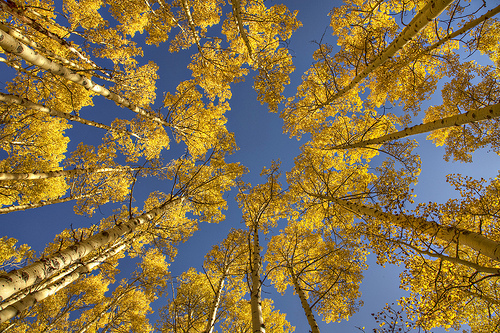 Day 2 – We’ll spend the day photographing the rich colors of the Dallas Divide and Telluride. Not only is this a beautiful drive, but a historic one too. The first road on the mountain was made in 1880. The road connected Dallas to Telluride.The Dallas Divide in Colorado is beautiful, the perfect place for a drive through the changing Colorado scenery. Day 3 – Our adventure continues as we spend the morning making our way back to Durango, stopping along the way to photograph the stunning vista’s and possible wildlife that only this magnificent fall landscape can provide. Lodging from the night of October 4th, 2018 through the evening of October 6th, 2018 is included in the October 2018 Workshop. We will be staying in comfortable lodges close to the many diverse landscapes the Colorado Region has to offer. For our first evening we will overnight at the Double Tree Hilton in the town of Durango. Our Durango hotel is located on the beautiful Animas River, within walking distance of downtown Durango and the Durango Silverton Narrow Gauge Railroad. What a beautiful way to start our trip! 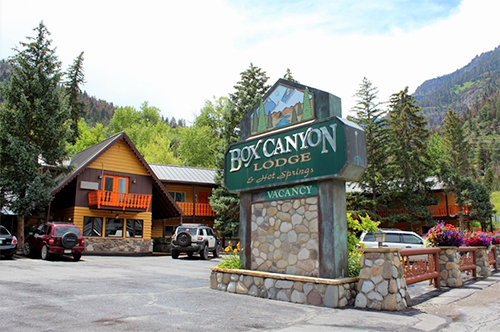 Our next few evenings will be at the Box Canyon Lodge in Ouray. The hot springs on the property of the Box Canyon Lodge & Hot Springs were first used by the Ute Indians, the original settlers of the beautiful Ouray valley. By the 1870s, white men had come to the mountains surrounding Ouray in search of gold and silver and surely soaked in the soothing hot waters so abundant in and around Ouray. Today, the hot springs are enjoyed in both summer and winter.